This is my first interactive column. You can’t click on a link in the paper, but you can on my Facebook page. Go to www.Facebook.com/dakellyburke and on this post you can see/hear each of the songs mentioned in this column. Not a Facebook fan? Go to my blog at http://www.burkelasseter.llc/blog and you can do the same thing. 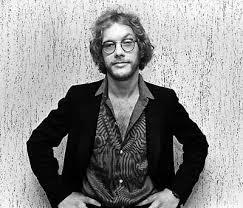 The late singer/songwriter Warren Zevon is the inspiration for this week’s column, and he’s got some legal lyrics to make it relevant. Sadly Warren had a disdain for doctors, stating to David Letterman one night: “I might have made a tactical error in not going to a physician for 20 years.” He eventually succumbed to cancer which he delayed in getting diagnosed and treated. His death in 2003 was a great loss for rock’n’roll. But during his life, he wrote some doozies. Song #1 is undoubtedly Werewolves of London. Nothing particularly legal in the song, but when it comes on the radio I have to sing it at full volume, including the howls. My wife and kids just watch and cover their ears. There is one line about “Walking through the streets of Soho in the rain”, and Soho there refers to South Houston, pronounced as we pronounce it. Song #2 is Excitable Boy. It’s about a boy who is, well, excitable. He did horrific things to Little Suzy and got locked up for ten years in the “home.” When released, he dug up her grave and built a cage with her bones. Why? Because he’s an excitable boy. Song #3 is Lawyers, Guns and Money. “I was gambling in Havana – I took a little risk, Send lawyers, guns, and money, Dad, get me out of this.” The closing line is a classic, although not suitable for a family newspaper. As a lawyer, I always appreciate a young man’s follies, especially when Dad is going to write a check to help the son get out of the mess. Hey, what’s a little fun worth anyway? Song #4 is Poor, Poor Pitiful Me. You may not have heard Zevon’s version as it was Linda Ronstadt who took his song into the Top 40 but it is about a guy who is so unsuccessful that he can’t even commit suicide on the train tracks as the train doesn’t run anymore. He then does things that would get two consenting adults in a lot of trouble, even today. Song #5 is Roland The Headless Thompson Gunner. It’s a song about a mercenary, Roland, who is incredibly proficient with the Thompson machine gun. Roland literally loses his head due to the betrayal of another soldier, Van Owen. Roland’s headless corpse lives on until he gets his revenge. Jurassic Park: The Lost World plays homage to this song by naming two prominent characters after Roland and Van Owen. Previous Maybe, Could Be, Might Be, Are You Sure Your Gun Isn’t Stolen? Next It’s About Them. Not Us.